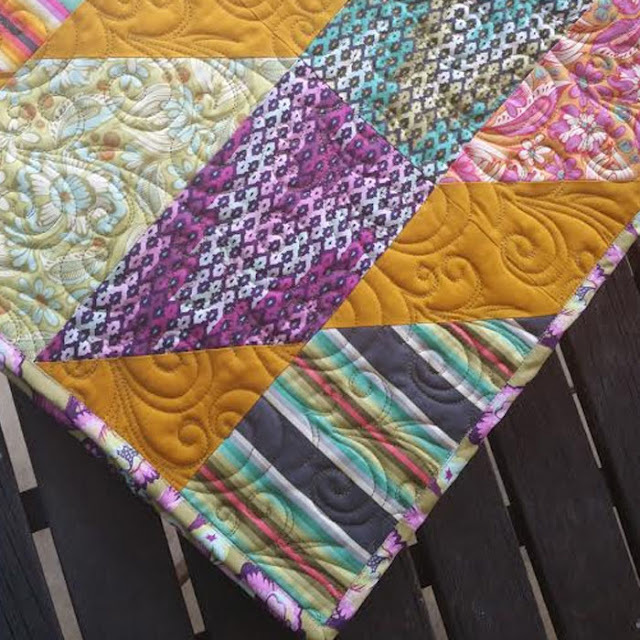 Lets Quilt Something: Precious Gem Update! Today's month pattern will be a update on a older pattern of mine. (Currently I am in the process of revamping my other patterns (here and there) while adding the additional quilt sizes available since I have received some emails about making some patterns larger.) BUT be on a look out I will have a new table runner and mini block available soon for you! First up we have Precious Gem Revamped! There where no corrections that needed to be made to this pattern but to the digital quilt image it was a little deceiving to the eye. Your diamonds will not touch but you will have a fully diamond completed. Between each diamond there is about a 1/2" space. Which looking at the digital image they seemed like they where touching, so I spaced them out slight more so to the naked eye there is no confusions. Hopefully that will help you all out. BONUS! 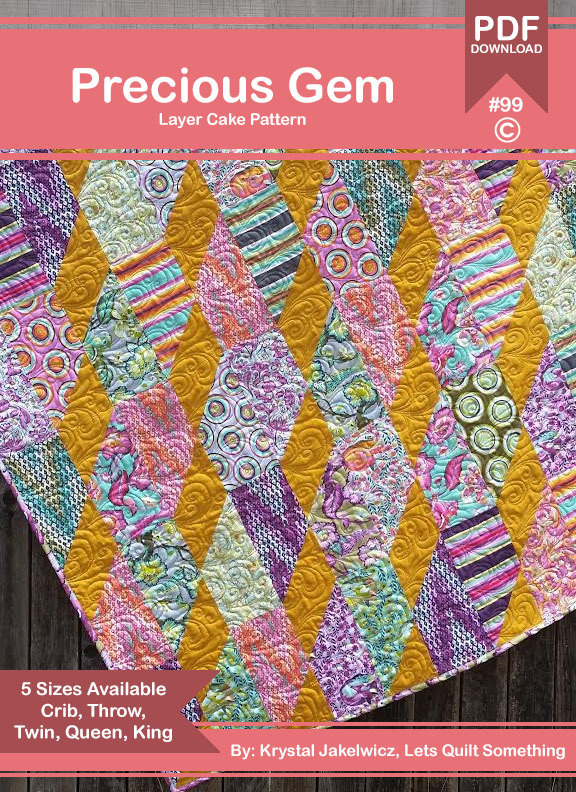 If you have purchased the FREE version of this, login to your account and under your download sections REDOWNLOAD the pattern and you will now have all 5 sizes available free of no cost. BUT remember the throw size will still be available on my blog for free! =D If for some reason you are having problems re-downloading the new version of the quilt pattern please use the contact form at www.letsquiltsomething.com and let me know! Sadly I do not see or get notified by all comments on my blog. 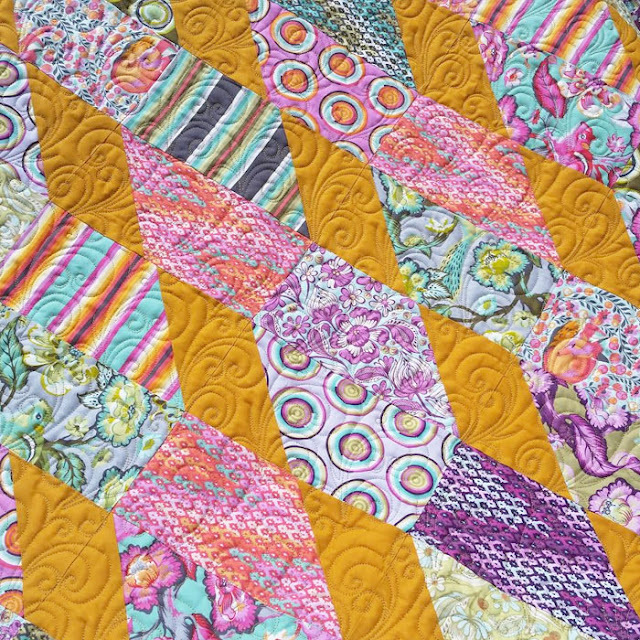 Just provide me with your email address you used to receive the quilt pattern and I'll be able to access your order. I chose Grellow, since Tula Pinks fabrics are always bursting with many beautiful colors I wanted the diamonds to REALLY pop out and I thought Grellow did the trick!